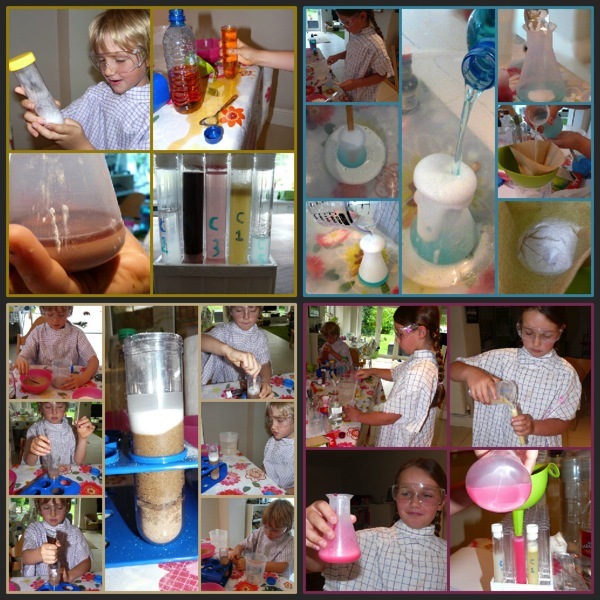 I just love your fabulous resources- those are some great science links! And I’m so jealous of all your history resources living in England. We wish we had time to spend another month there! Hi Cari, it’s lovely to hear from you! Thank you for your kind comment. 🙂 I can only dream of seeing as many wonderful places as you’ve taken your family! 1) physics – How Things Work from Coursera (https://www.coursera.org/course/howthingswork1) might be a good jump-off point. That’s brilliant – thank you so much, Hwee! I was hoping you’d have some good War resources, given Tiger’s interests. The coursera link is a bonus! You inpsired me to look at what’s on at the Globe. 🙂 I don’t think J(8) could manage it yet but I think C(10) and I will enjoy it! I’m so please Much Ado is on because there are so many great video versions available. 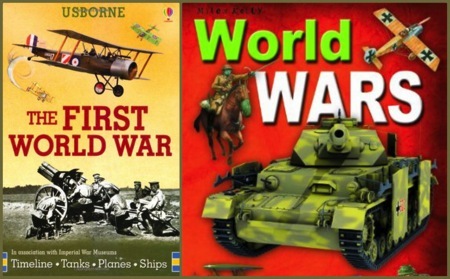 I have thought more about the World Wars resources appropriate for children, but can only think of the “My Story” series (http://www.amazon.co.uk/Story-Collection-Books-Set-Pack/dp/1407136321/ref=sr_1_4?ie=UTF8&qid=1389549001&sr=8-4&keywords=my+story+series) as rather good historical fictions. Tiger leans more towards the actual battles and weaponry, so I don’t have many historical fictions to recommend. 1) “War Horse” by Michael Morpurgo is set in the First World War. 2) There is much public debate lately about interpretation of First World War (this year being the centenary) so there are many interesting sources out there to dig through. Ooh yes, War Horse, for sure! Do you think that is better than Private Peaceful? I’m not sure which one to read first. Yes, this will be an interesting year for learning about WWI. We’re looking forward to it. Sorry Hwee – I missed the first part of your comment earlier. Thanks for the heads-up about the Globe. Definitely not a place for J(8) yet, I feel! I haven’t seen the My Story books before, thank you so much for mentioning them. I shall search them out at the library. It’s almost a contradiction……. 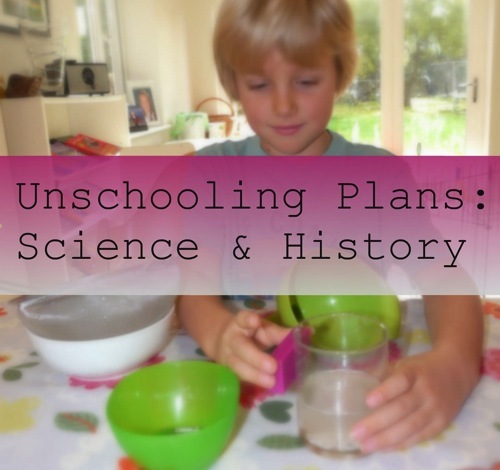 that’s a lot of plans for unschooling:) I look forward to reading your physics posts. We’re starting to study Shakespeare too. Have you listened to Beautiful Stories from Shakespeare on Librivox? My kids are enjoying them. Actually I was hoping I could send them to you for physics and engineering, Julie… 😉 Okay, maybe you’re a bit far away! This whole labels business is a bit of a nonsense really isn’t it? I guess we’re probably interest-led more than anything right now. Thanks for the reminder about the E Nesbitt stories. They are lovely. 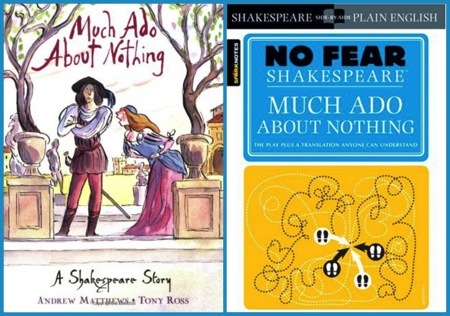 I shall find the Librivox version of Much Ado. We’ve not read Private Peaceful, but the book has rave reviews on Amazon so it’s probably very good too. Both books look at the First World War from slightly different angles so it really doesn’t matter which you read first. 🙂 There’s so much to learn about WWI and I’m looking forward to read about how you approach it. So many fantastic books to read… Need more hours in the day! 🙂 What a great problem to have! ANyway, I clicked over with interest….great ideas…thank you So much. Pinning! Wow, you will be busy. Thanks for the Shakespeare links, something we are looking at currently. Have you checked out the education pack that you can borrow from the Dyson company? It is free for schools and home educators in the UK, it does need booking (and can be quite a wait) but well worth it – you get a complete Dyson to take apart and play with (just a shame you have to return it at the end) along with some interesting reading material. Hi Tracy, the Dyson website looks fantastic – thank you so much for mentioning it. I’ve requested an engineering pack and will be having a thorough explore of the site, there seem to be so many resources there. What a wonderful collection of ideas and resources! We’d love to go to Shakespeare’s Globe Theatre. You will enjoy Much Ado About Nothing, especially the Kenneth Branagh version. The Beatrice and Benedict scenes are delightful. We have read many fiction books based on the World Wars, but some of them are written from the Australian perspective. Have you read ‘When Hitler Stole Pink Rabbit’ by Judith Kerr or “The Borrowed House’ by Hilda van Stockum? I will have to bookmark some of your links. Thank you! Thank you, Sue! Over the last few years I’ve asked my children many times what they wanted to learn, but in the past they hadn’t been very forthcoming. So I was delighted with how many ideas they came up with when I asked them over these last holidays. It makes me so pleased that we are all starting to “get” this unschooling/interest-led learning thing (whatever it’s called!). We began reading Much Ado today. It was so much fun. It would be even better if we had more girls to share out the parts between! Thank you for the book suggestions, they both look like excellent books. I’m so grateful that you suggested historical fiction to me a while back. You are so right, it is a wonderful way to learn. Brilliant plans. I shall watch agog, and hopefully use everything you’ve done with Shakespeare and take next year off!! I hope you have a really special year this year continuing along your wonderful journey! Thank you for your encouragement, as always! Hi, I’ve been watching your blog avidly for a few months now. I loved going to the globe when I was younger, but I now live in NZ so will have to wait for a trip back home to do that again! I remember reading Carrie’s War when I was at school – that would be from the perspective of those who stayed behind. And also Diary of Anne Frank – there is a great movie of that too. I hope you have a wonderful year and I’m looking forward to seeing what you are up to. Hi Jo, It’s lovely to hear from you. Wow – New Zealand! I’ve never made it there but I would love to visit one day. Thank you for the personal book recommendations, they always carry more weight for me than anonymous reviews. I’ll put Carrie’s War on our list. Anne Frank’s story is amazing too. I shall have to warn the children it is a true story though, they are rather used to happy endings! Brilliant! I hadn’t seen that. Programming a wishlist on our TIVO today! Thanks so much, Jo. I’m enjoying the resources and topics that you guys have picked out for this semester. I’m going to especially watch for stuff on the world wars because that’s one of Firecracker’s interest areas. Hi Rebecca, We’ve already read some great books on the wars. Must post soon!